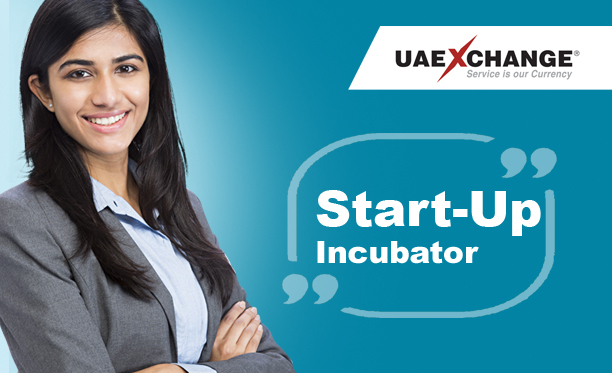 UAE Exchange India invites applications from young, technology-driven aspirants who have innovative ideas to start their own businesses to join our Start-up Incubator. Start-up Incubator has been initiated with the prime motive to boost the aspirant spirit of these entrepreneurs by giving them best possible support to take confident strides ahead. Start-up Incubator seeks to handhold aspirants in bringing-up their creative ideas for moulding profitable institutions of the country. Preference will be for candidates interested in Digital, e-Commerce, Data Analytics, Data Mining, SEO and Mobile Applications projects. Candidates with a flair for challenges and innovations are invited to apply for the position to incubator@uaeexchange.co.in. Positioned in the heart of the city with a lavish ambiance, best accessible for interested applicants from any part of the city. Candidates will be mentored with basic facilities to be a successful entrepreneur in future. UAE Exchange India, one of the pioneers of financial services that has an extensive reach of 376 branches serving a population of 1.25 million people under the proficient support of 3375 employees. The company has been instrumental in providing cost-effective service in Foreign Exchange, Outward Remittance, Money Transfer, Air Ticketing & Tours, Loans, Insurance and Share Trading.